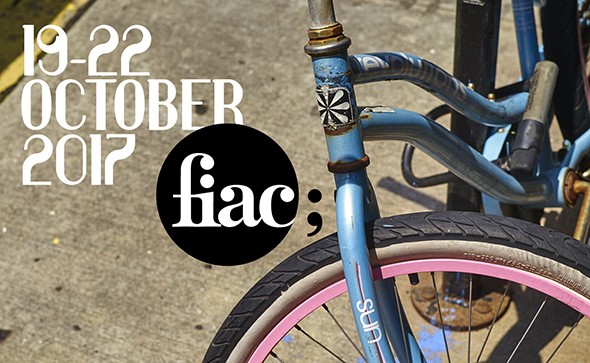 The 44th FIAC will be held in Paris from Thursday, October 19to Sunday, October 22, 2017 in the Grand Palais, the Petit Palais and in its different Hors les Murs sites, notably the Tuileries Garden and the Place Vendôme. The vernissage will take place on Wednesday, October 18. We have great pleasure in announcing the second edition of On Site, dedicated to sculptures and installations, in the prestigious context of the Petit Palais, directly opposite the Grand Palais, on the Avenue Winston Churchill. This year, the sector is co-curated by Eva Wittocx, and will present some 40 artworks in the remarkable setting of the historic Petit Palais, its surroundings and on the Avenue Winston Churchill. Eva Wittocx is senior curator at the M – Museum in Leuven, where she also served as acting director last year. The M – Museum presents both old masters and contemporary art. She was appointed curator of Dirk Braeckman’s solo exhibition to represent Belgium at the 57th Venice Biennale in 2017. Between 1997 and 2006 she was curator at S.M.A.K., the museum for contemporary art in Ghent. Eva Wittocx worked for the STUK Artcentre in Leuven from 2006 to 2009 where she was in charge of the exhibition programme and where she launched the international performance festival “Playground” in 2007. For all queries relating to your applications, please contact the Programmes & Cultural Development service. FIAC has great pleasure in announcing the next edition of the Hors les Murs programme in the Tuileries garden of the Louvre Museum and the Delacroix Museum in October 2017. Since 2006, this outdoor exhibition presents sculptures, architectural projects and installations in the prestigious context of Domaine National of the Louvre and the Tuileries, in direct proximity to the Grand Palais. The programme will assemble some 20 artworks on the alleys, lawns, ponds and fountains of the garden, creating an impressive outdoor exhibition lasting one month. It enables FIAC galleries to exhibit monumental artworks that echo the patrimonial context and respond to the scale and the perspectives of the garden. The applications for the outdoor programme in the Tuileries Garden are now available for completion on our website. The applications will be examined by the Selection Committee, composed of representatives of the Louvre Museum selected by Vincent Pomarède, Director of Mediation and Cultural Programming of the Louvre Museum, Bernard Blistène, Director of the Centre Pompidou, Jean de Loisy, President of the Palais de Tokyo, Jennifer Flay, Director of FIAC and Blanche de Lestrange, Director of FIAC’s programmes and cultural development. The selection committee’s deliberations will take place in July. FIAC is currently accepting applications through March 16 for the General Sector and the Lafayette Sector of the fair. The 2017 application is available here. Olivier Antoine (Art : Concept, Paris), Gisela Capitain (Capitain Petzel, Berlin), Mark Dickenson (Neue Alte Brücke, Frankfurt), David Fleiss (Galerie 1900-2000, Paris), Solène Guillier (gb agency, Paris), Jan Mot (Jan Mot, Brussels, México D.F. ), Emmanuel Perrotin (Galerie Perrotin, Paris, New York, Hong Kong, Seoul, Tokyo) and Christophe Van de Weghe (Van de Weghe, New York). Guillaume Houzé (Director of Patronnage, Groupe Galeries Lafayette), Daria de Beauvais (Curator, Palais de Tokyo, Paris), Mark Dickenson (Gallerist, Neue Alte Brücke, Frankfurt), Elisa R. Linn (Curator, km temporaer, Berlin), François Quintin (Executive Director, Fondation d’entreprise Galeries Lafayette, Paris) and Matt Williams (Curator, ICA, London). For all queries relating to your applications, please contact the Exhibitor Relations service.